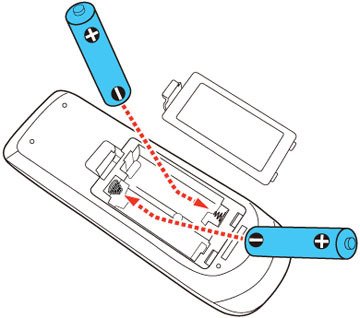 The remote control uses two AA manganese or alkaline batteries. Replace the batteries as soon as they run out. 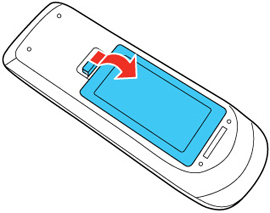 Remove the battery cover as shown. 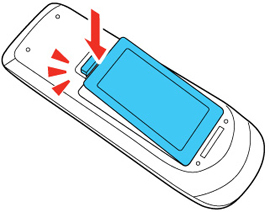 Warning: If the battery fluid has leaked, wipe it away with a soft cloth and avoid getting the fluid on your hands. If it gets on your hands, wash them immediately to avoid injury.